Recently took a trip to San Francisco. There’s nothing like the vibe and rush of a true city to shake things up and get you in touch with the crush of humanity that goes along with such a thriving urban center. As a self-confessed media junkie, I love to see how advertisers jockey themselves in these hyper-saturated media environments. I remember visiting San Francisco years ago and marveling at Apple’s ‘takeover’ of the Muni station, with every billboard at the Market street station touting what was then the new iPod. What made this salient was the physical location of the Apple store – strategically positioned just outside the Muni station escalator. It was a very relevant push…the message, like a welcome mat to the gleaming Apple store and its array of colorful acoustic candy. This trip, the media world is much different. Mobile has taken hold, and the web is now accessible on any number of devices consumers can fit into their pocket. Which is what puzzles me: Urban outdoor media seems to be stuck in it own silo. I saw it everywhere in Francisco, with gorgeous billboards, posters and visuals without a hook to connect to consumers and start the conversation. Mobile has the ability to add interactivity to otherwise static, one-way media and start the conversation, engaging consumers to text, tweet, enter to win, click and ‘like’. For the most part, these consumers are all standing around faces fixed on their handsets anyway, so why not take advantage of that behavior and add a call-to-action to out-of-home media and really leverage that moment when you catch that consumer’s ever-fleeting attention? Many industry pundits have gone one year after year that ‘this is the year of mobile’. Until media teams stop thinking about it as a medium unto itself and use it for interactivity across otherwise non-interactive channels, it will continue to putter along, no matter how many touch-screen smart phones get out there. As a media professional I would never run any print, OOH, in-theater or TV spot without it. Every message, regardless of its primary function, would have a secondary function to start that ever-more-valuable consumer conversation. Very well said, Guy! We take the same holistic approach when introducing mobile to our clients...it needs to be a part of their overall strategy, not a mobile strategy unto itself. 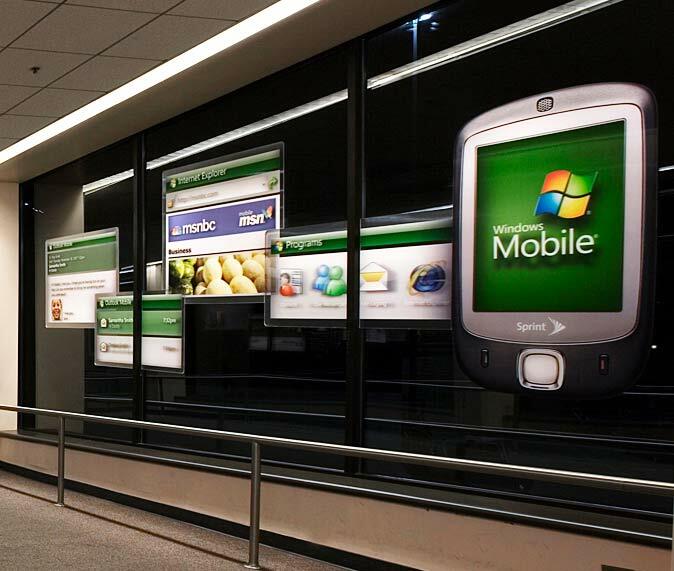 And the immediacy of mobile truly lends itself to OOH opportunities. For instance, a small casino client of mine put together a campaign utilizing interstate boards with a mobile call-to-action. In the first 8 weeks, they added 25% new players to their loyalty program, and 6 months in, they now have a mobile database of 30,000! Not bad for just a couple of boards in the middle of the desert! The is DEFINITELY now to start the conversation...and keep it moving! A well put article and Randy is totally correct. It seems to me there are a lot of analogue adverts still out there talking to a digital World. Most ads just slap up a web address or Facebook/Twitter logo and think “that’s it were digital”. 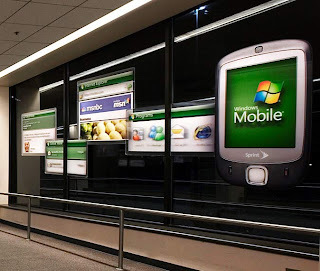 We started in mobile way, way, back in 98 and it was our goal to help bolster traditional media (making it interactive) and push/drive footfall to a point of sale (online or street). Mobile response is still not mainstream. Today; mobile is a playing field for innovation, where a brand can act creatively, (to stand out). Ford, Nike and the BBC have done some great OOH programs. I think GPS/augmented reality will push the mobile frontier even more. It is an ever changing space and that’s why every year is a big one for mobile.